The Butterfly Effect: Setting .. Diagnosed with bipolar disorder in 2001, seasoned journalist Jane Pauley didn’t publicly talk about her mood disorder for three years. It was in 2004 when, between shows, she published her first book, “Skywriting: A Life Out of the Blue.” Since then, Pauley has invited conversations about mental illness in hopes of normalizing the experience. Pauley became a household name in 1976 when she replaced Barbara Walters as a co-host of the “Today” show at just 25 years old. Throughout her career, viewers have watched Pauley as a reporter at the then-CBS affiliate WISH-TV, Chicago NBC affiliate WMAQ-TV and “Dateline NBC.” Today, Pauley is the host of “CBS Sunday Morning.” In April, DePaul’s Center for Journalism Integrity and Excellence honored Pauley for her work in the field. 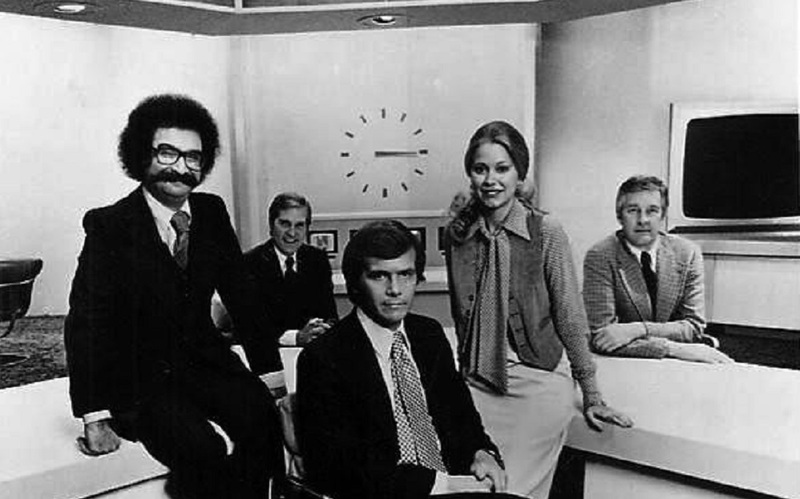 Jane Pauley with the Today Show staff. Photo from Wikimedia. Once private about her personal life, Pauley now talks about her experience with bipolar disorder, coupling her story with advocacy around change in the way mental illness is discussed. In 2008, Pauley led a conversation about mental illness in PBS’s documentary “Depression: Out of the Shadows.” In 2009, a community health center was named after Pauley in her hometown of Indianapolis. Pauley is not the only public figure to speak out about her experience with bipolar disorder. Singer Demi Lovato openly talks about her experience with bipolar depression and mental illness, opening up about her experience in a 2012 MTV documentary and a 2017 YouTube documentary. In April, Mariah Carey shared her bipolar disorder diagnosis for the first time with People Magazine. Public figures like Pauley, Lovato and Carey who speak out about their experience with mental illness can have an impact on the way society views mental illness, explained Jordan Horwath, clinician at DePaul Family and Community Services. In doing so, public figures help deconstruct some of the negative connotations surrounding mental illness. “When public figures make themselves vulnerable they can help and even inspire people who feel a sense of shame or guilt about their mental health, making it more acceptable to come forward and ask for help,” Horwath said. Pauley often talks about changing the narrative of mental illness. Just as someone with a broken arm or diabetes goes to the doctor for help without shame, someone with a mood disorder should feel comfortable doing so, too. During summer 2000, at 49 years old, Pauley’s doctor prescribed her steroids for a recurring case of hives, often appearing on her fingers, feet and throat, sometimes causing it to swell. The treatment seemed to work, she wrote in her book, but with it came irritability and depression. So Pauley’s doctor prescribed her a low-dose antidepressant. The medication triggered her first episode of hypomania, a more mild version of mania in which one experiences extremely high levels of energy and impulsivity and takes frequent risks. 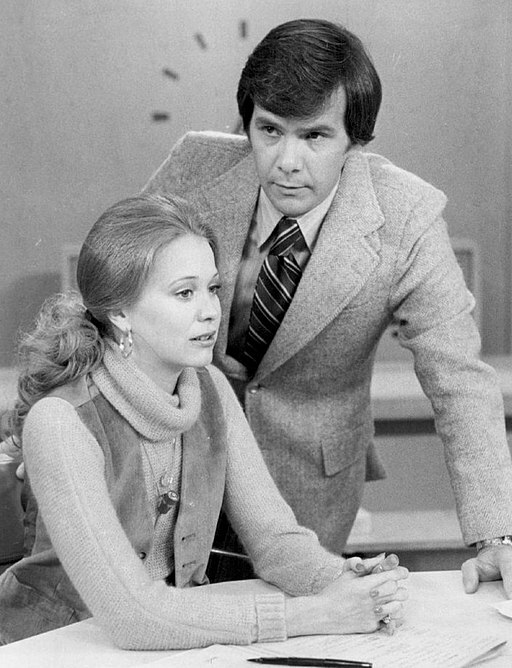 Jane Pauley and Tom Brokaw Today Show, 1977. Photo from Wikimedia. In 2001, Pauley took a six-week sabbatical from “Dateline” to write a book. This turned into a six-month leave of absence, during which she spent three weeks in a psychiatric clinic. The antidepressant prescribed to Pauley treated unipolar depression, a mood disorder characterized by long periods of sadness, loss of interest or changes in behaviors such as eating and sleeping. Pauley’s reaction to the medication showed a different diagnosis: bipolar disorder, marked by its dramatic shifts in mood and energy levels. The medication for unipolar depression triggered her first episode of hypomania. The National Alliance on Mental Illness (NAMI) estimates that 2.6 percent of U.S. adults have bipolar disorder. According to Horwath, the DePaul clinician, while it is more common for a person to experience the onset of a mood disorder early in life, it is not unheard of for for someone to be diagnosed later in life. Since leaving treatment 17 years ago, Pauley said she has not experienced another manic episode, though she is acutely aware that another episode is possible. Recognizing there are some factors she cannot control, she is conscientious of what she can. Pauley said she takes her medication every day and assures she gets enough sleep each night. Rest, for Pauley, is paramount to her well-being. She pays close attention to her sleep schedule and notifies her doctor if she experiences any changes, which she said could be indicative of shifts in her mood disorder. Pauley — knowing what she needs and making sure she is able to receive it — ensures her work schedule allows her to get enough sleep, too. Throughout all of her work, Pauley said she tries to “exemplify the reality that treatment enables mental health and a productive life,” pointing to her Emmy-winning coverage of United Flight 93. She returned from her leave of absence to “Dateline” on September 10, 2001, just before 9/11. While still recovering and acclimating to life back at work, Pauley was thrust into the trenches of reporting on the American tragedy.